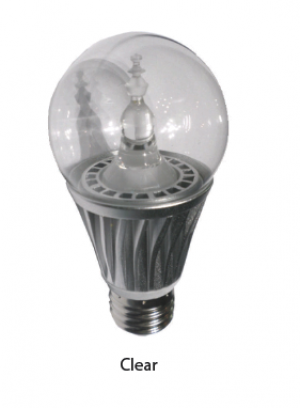 The A19-E211 replaces the 60-Watt E26/27 standard household incandescent bulb and offers a low cost operation up to 85% electricity savings compared to incandescent and greater than 40% savings compared to CFL. Also offers a unique thermal system. It’s effective to keep LED junction temperature below 90°C, with only 60°C of housing temperature. High Energy Efficiency: Can Reach 76 lm/w with CREE Light Engine. Environmentally Friendly – Mercury-Free, Lead-Free & RoHS Compliant. IP60 - Click here to learn more. Maintenance Free – Long Life Operation.